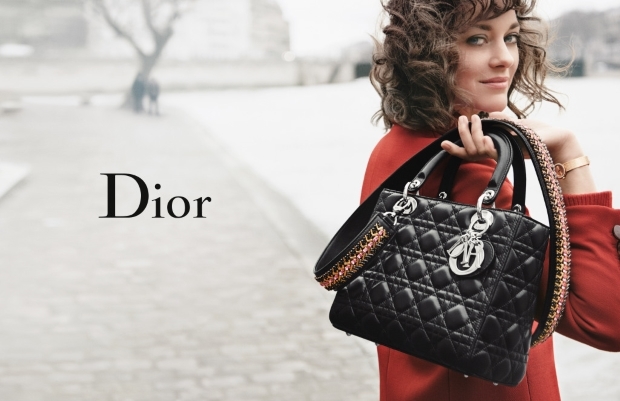 Marion Cotillard has practically traveled the earth for Christian Dior since becoming affiliated with the brand back in 2008. She’s gone to the top of the Eiffel Tower, taken in the dramatic skylines of Shanghai, London and New York, and now the actress returns to Paris for the Spring 2016 campaign. Along with photographer Peter Lindbergh, the French actress takes a stroll along the Seine to showcase the latest ‘Lady Dior’ handbag collection, all while making us want to take a trip to the French capital. The campaign failed to resonate with the majority of our forum members, however. “I like the first shot (above) a lot, but overall it looks more autumn than summer to me. The bag in the second shot (below), is that a multi-colored plait on the sling? How odd! It’s so out of place there,” said Benn98 the moment the adverts came to light. “Yes, it’s totally not summer. The camel colors in the first pic are great, it’s a pity they used a bag with a ugly strap in the second pic. If they had used a more elegant bag there it would have been much better,” pointed out Nymphaea. However, not everyone was left so dissatisfied. “I like it, 100 times better than the ones with Jennifer [Lawrence],” confessed dcmaike. “I think this is actually really nice. Marion looks comfortable. It’s not dull and Peter Lindbergh is such a master,” raved Taylor Binque. “I love it. Especially that it’s set on the streets and the sense of movement given by the hair,” kokobombon admired. Are you a fan? Which is your favorite shot? Add your own two cents here.